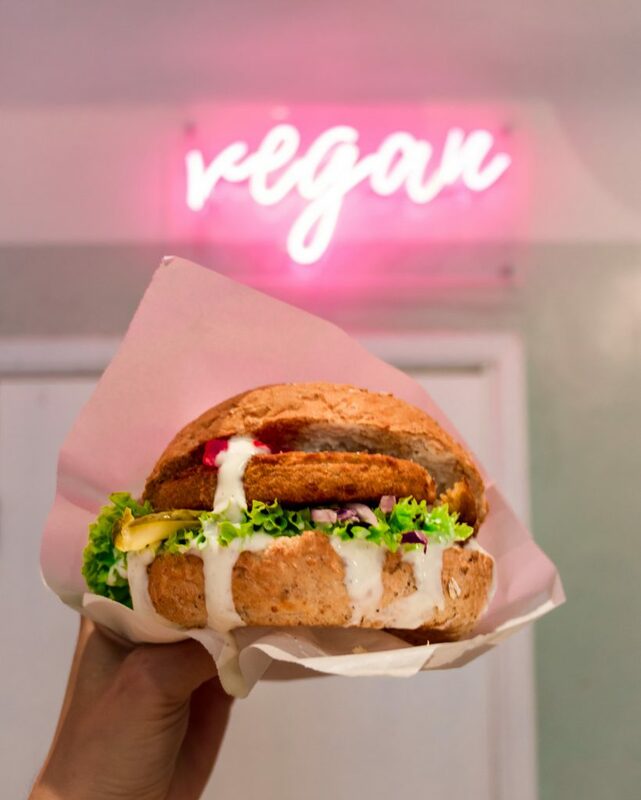 After posting my Vegan Guide to Berlin and raving about the amazing, all-round-accessible food options, many people suggested that Poland has way cheaper and equally good vegan-friendly cities! Consequently, Poland had been on my bucket list for over a year and I finally found the perfect occasion to explore the beautiful city of Krakow as a birthday gift to myself! 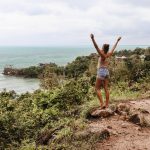 As always, I try and come with as little expectations as possible when visiting a new place, so that the positive experiences feel even better! 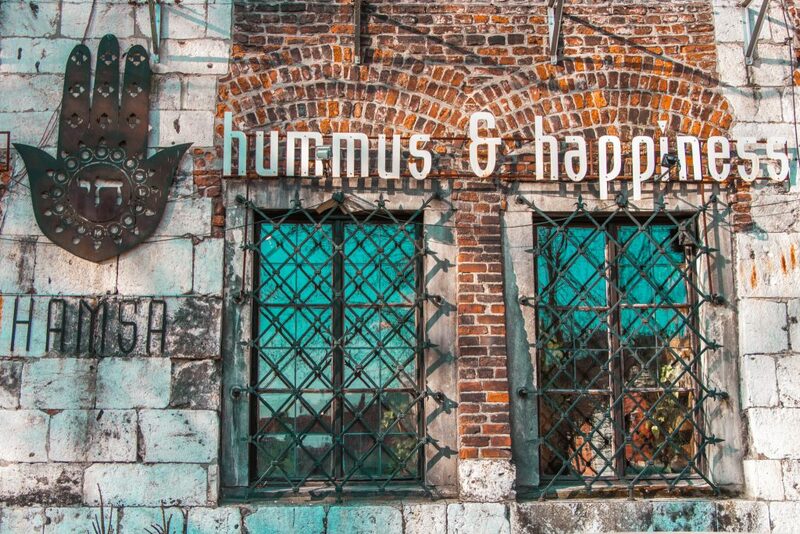 🙂 After spending 5 full days in the city I definitely had enough time to explore the vast majority of vegan options and create the ultimate Vegan Guide to Krakow! Quick tip so you don’t make the same mistake we did: don’t organize an airport transfer through your accommodation. You’ll most likely pay triple the price you actually have to. We paid 100pln (23€) for that organized airport transfer and only 40pln (9€) when we took an uber. Uber is definitely the cheapest way to get anywhere so use that! 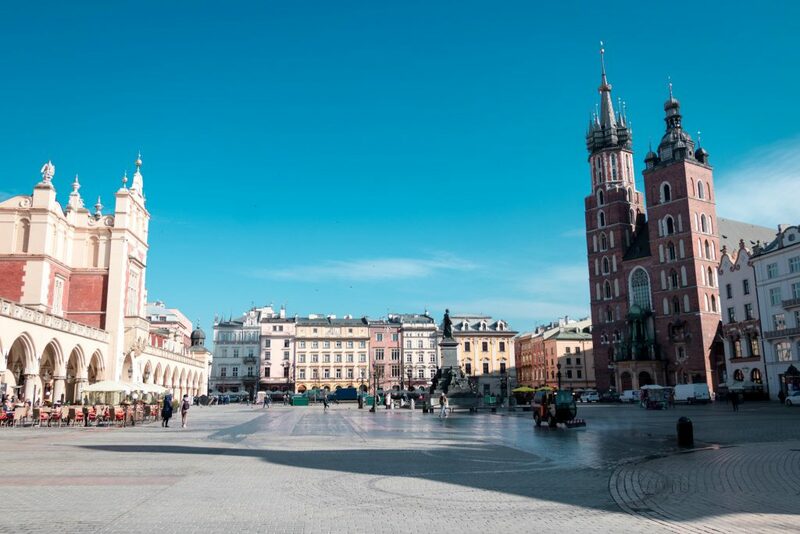 In my humble opinion, Krakow is the perfect place for a fun weekend getaway in Europe! 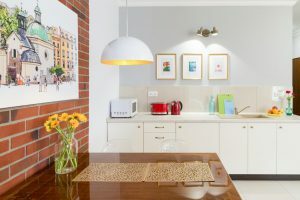 It’s super cheap so you’ll be able to find amazing vegan food and accommodation for 1/2 of what you’d normally pay in any major European city! I’d recommend staying anywhere from 2-5 nights, after that you might get bored a little (especially during winter months). 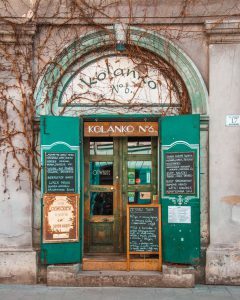 If you like this Vegan Guide to Krakow, leave a comment and rate it – if I forgot any recommendable places – please add them in the comments to help others! For more glimpses of my Krakow adventures follow me on Instagram! 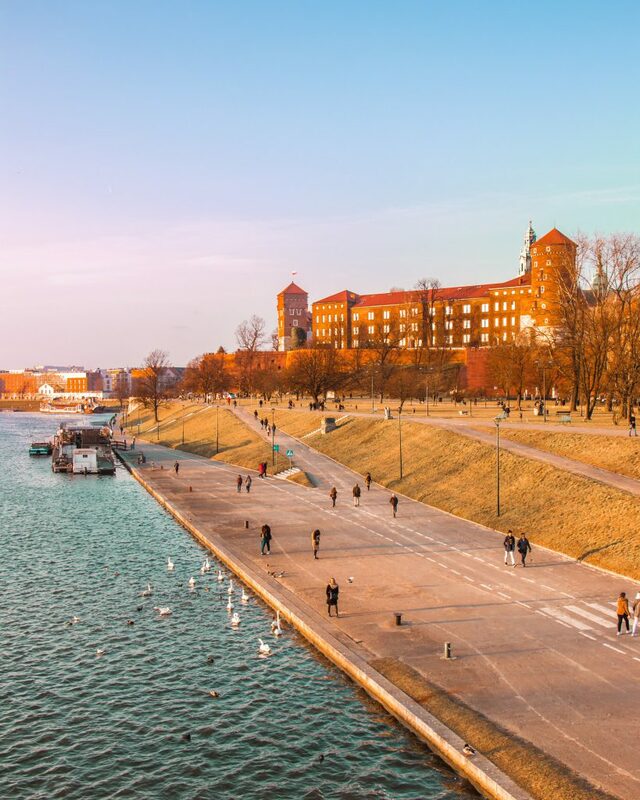 As a tourist there are 2 major areas in Krakow that are worth your while. The old city and the Jewish quarter (Kazimierz). 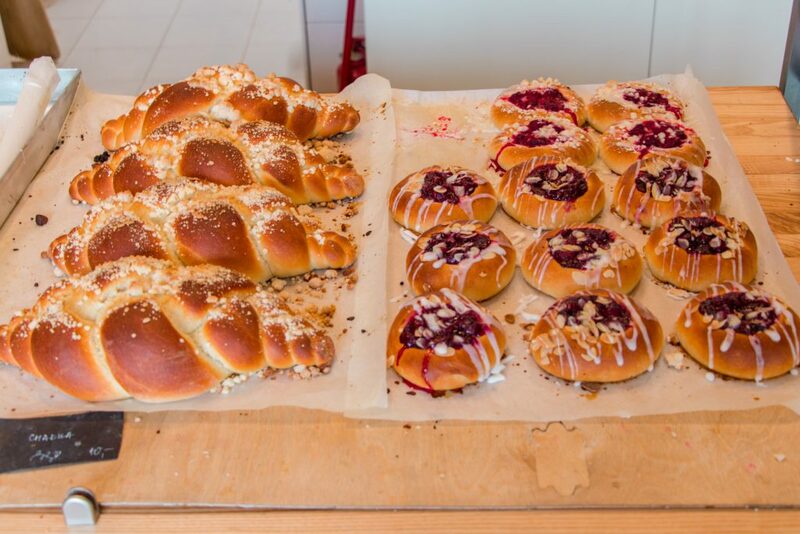 Personally, I’d highly recommend staying in the Jewish quarter just because it’s quite hipster, full of young people, very photogenic and full of good vegan food. 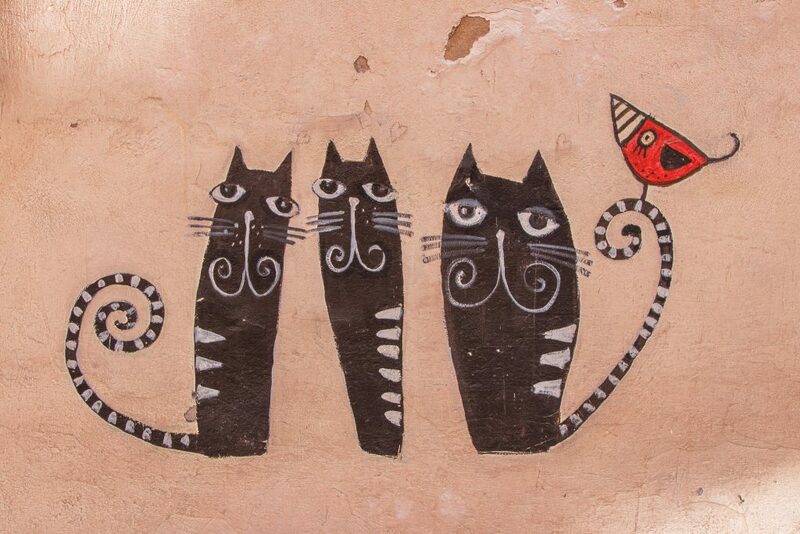 In any case, you’ll be at walking distance from the old city and everything in between in 15 minutes. I can’t recommend this apartment enough. When I was saying that you get high quality for little money – I meant it. 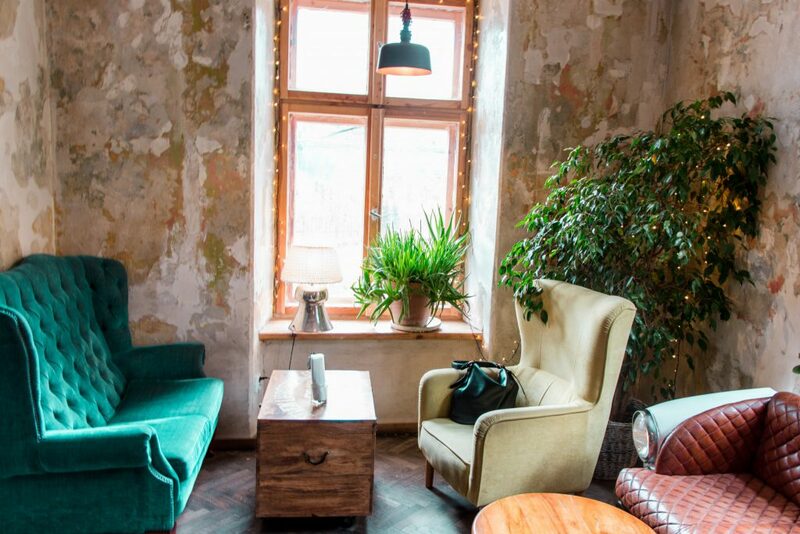 This place is beautifully designed, right in the heart of Kazimierz, 2-minutes away from a number of amazing vegan places and really well priced for what you get! There’s a 24/7 supermarket just around the corner where you can get some basic food supplies, wifi works great and the general rating of this place is superb! 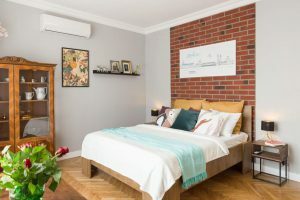 Located just between Kazimierz and the Old Town this charming apartment offers options to either sleep 2 (studio apartment) or 4 people (superior apartment) which makes it a great choice for couples/friends or families. 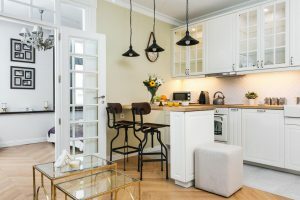 It’s really nicely designed with some of that charming Polish traditional flair and has everything you’ll ever need for a comfortable stay! Since my boyfriend literally grew up on schnitzel, he won’t miss an opportunity to taste test vegan versions. It’s probably one of his favorite foods and we’re both so stoked every time we find an excellent vegan one. Well, this place has it! 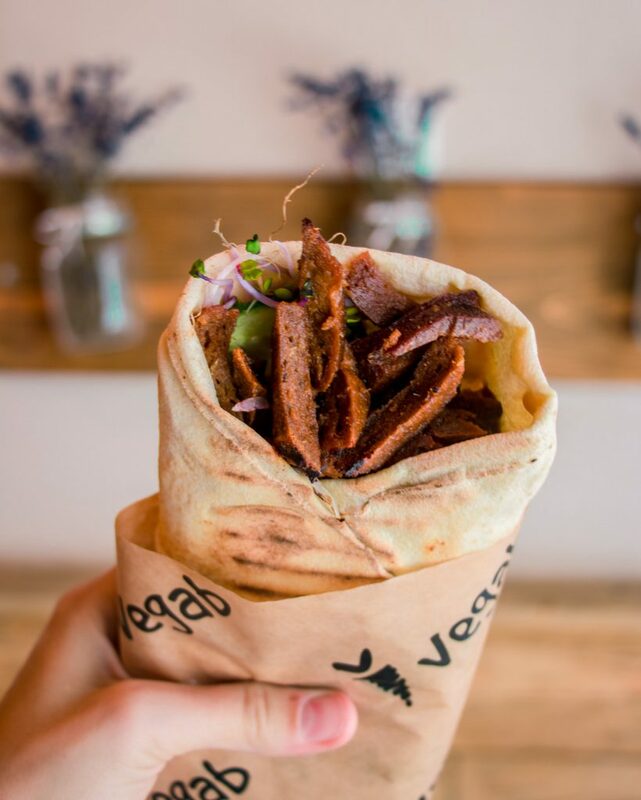 Farma is a great place if you crave some good wraps, burgers, hot dogs or gyros! 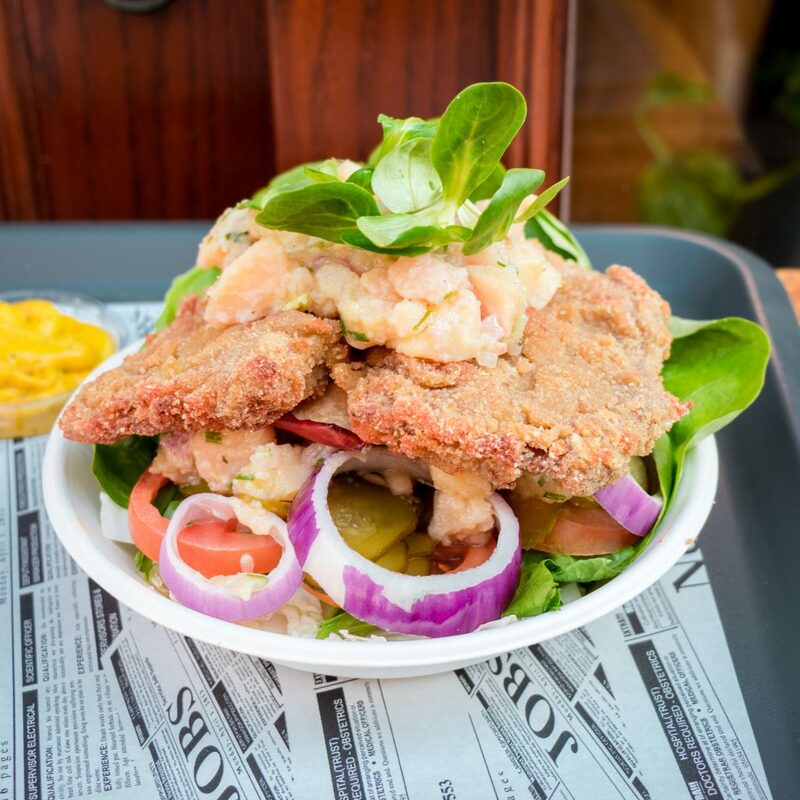 Since we kinda exaggerated that day food-wise, we weren’t that hungry and ended up sharing this schnitzel salad, which was perfect! That dish wasn’t even on the menu but rather a daily special so I forgot to note down the price. The dish itself was everything my taste-buds craved during childhood, schnitzel, potato salad and pickles! 😀 Any German/Polish person (or from that general area) will know what I’m talking about. Can’t go to Poland and not stuff your face with those heavenly fluffy pierogi aka dumplings. There are 2-3 good places in Krakow that offer vegan ones, Pierogowy Raj is definitely on the top of that list. 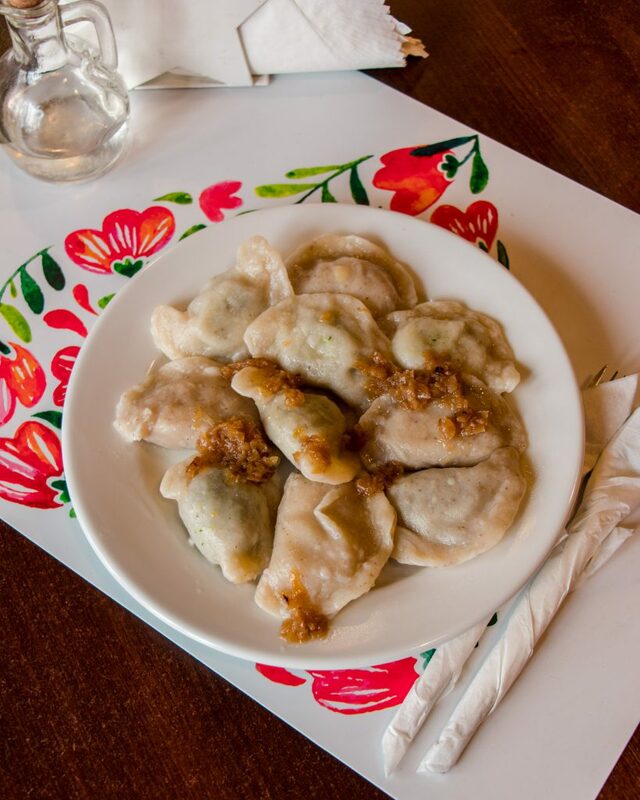 They have sweet and savory ones, but we only took the pierogi stuffed with spinach/garlic/sesame, mushroom/lentil/onion and sauerkraut/mushroom – the 2 latter being our favorites. Also, do yourself a favor and ask for extra onions. The sweet ones they have are filled with strawberry or apple/rice/cinnamon. A normal portion is 10 pieces and will cost you around 3€ and fill you for a good few hours, we took half the portion so we could try more flavors. If you’re looking for a chill cafe for a nice working session or simply enjoy your mornings Mo-Ja cafe will be right up your alley. They have a number of vegan milks, smoothies and juices, so first thing I did was order a nice green juice! 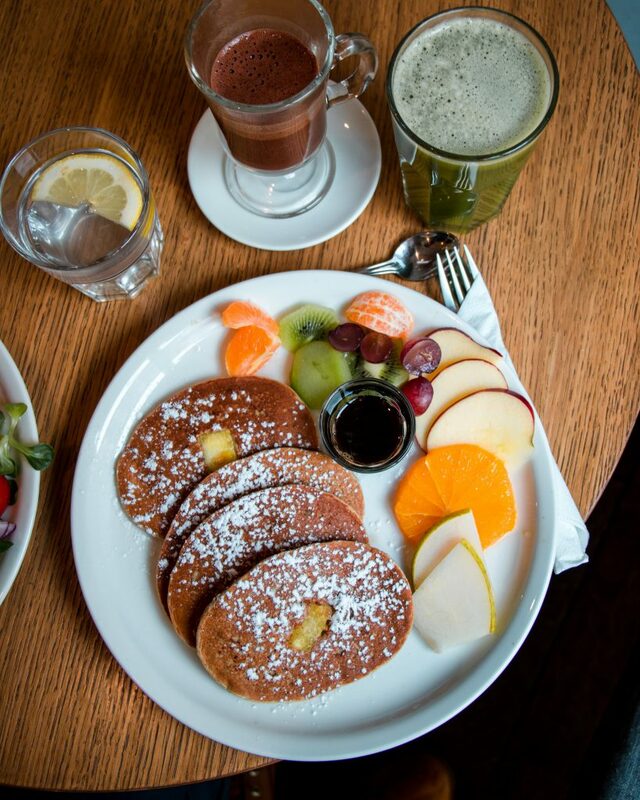 They have 7-8 vegan options for main dishes, so you’ll find vegan apple pancakes, granola, and millet with caramelized pear for breakfast, vege power bowl for brunch or a vegan burger, pasta and zucchini roulades for lunch. Prices will vary between 4,20-4,80€ for a main dish. 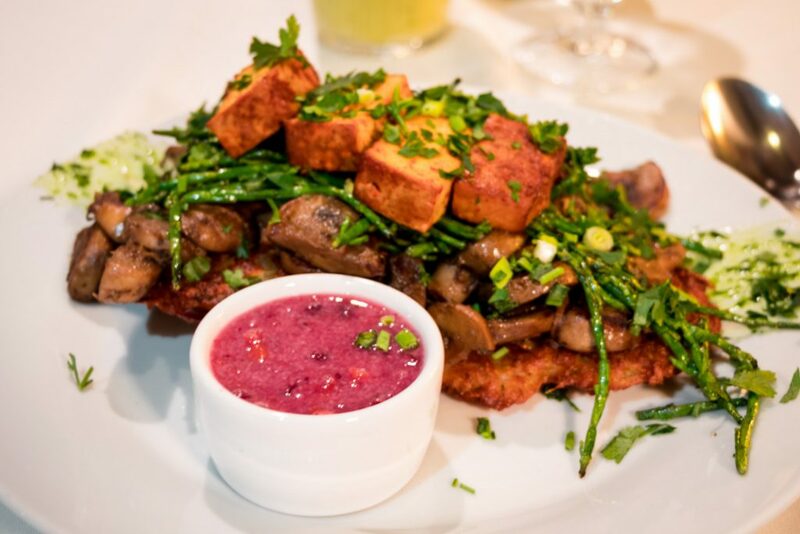 If you’re looking for veganized traditional Polish food, this is a MUST-GO. 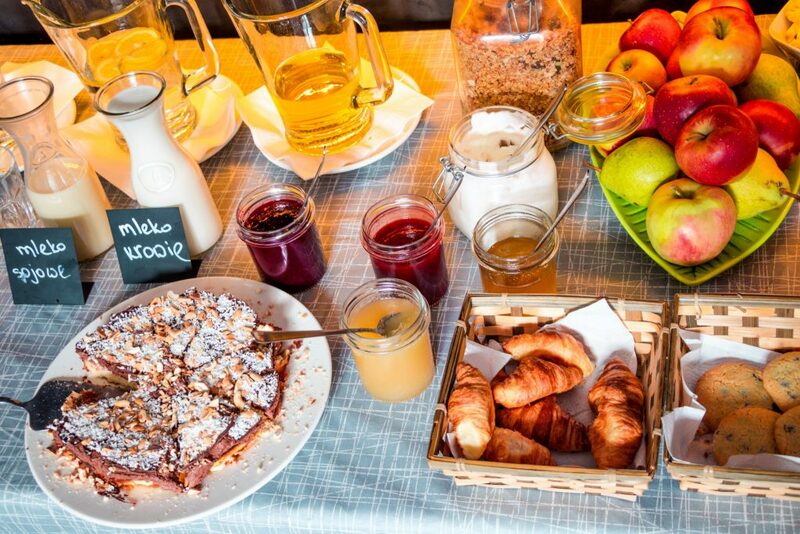 Wielopole is a hotel and vegetarian restaurant in one, so if you prefer a hotel option rather than apartment it might be worth checking this one out. Their food is simply amazing – very hearty, authentic and full of flavor! I tried the potato pancakes with dill pesto, samphire, cumberland sauce and extra tofu and couldn’t get enough of it (5.70€) and their phenomenal ‘bigos’ which is a traditional Polish dish made with sour cabbage, dried plum, mushroom, tempeh and homemade gluten-free bread (5,20€). I love their approach to traditional cuisine while putting a healthy spin on their dishes. It’s seriously good and I love being able to get a feeling for the more traditional Polish food. 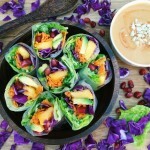 If you’re craving vegan sushi, visit the talented folks over at Youmiko. 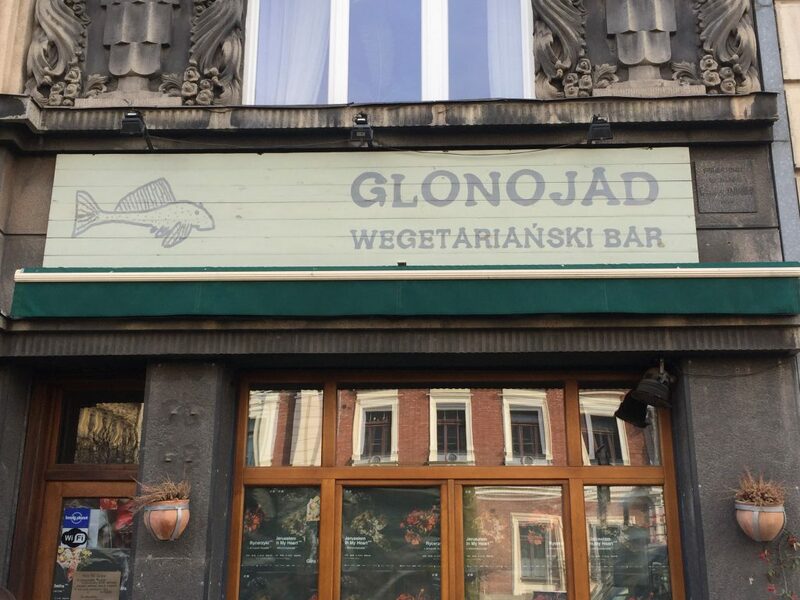 Apparently their Warsaw branch is fully vegan and the Krakow one offer an extensive vegan menu. 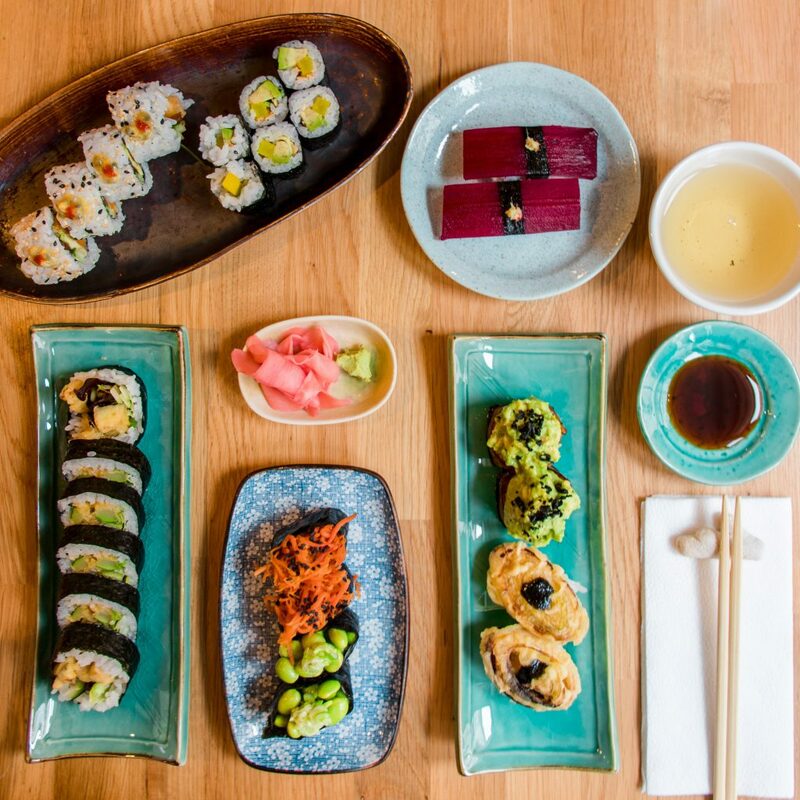 Their skills and inventions are really impressive and they really put a lot of emphasis on delivering the best possible sushi experience to you. It took a lot of restraint to wait until all sushi items arrived at the table and not eat them before so I could take a photo but I’m glad I did wait! 🙂 I didn’t take a look at the menu as we told them to just surprise us with their best collection of vegan sushi, so no idea regarding the prices. My absolute favorites were the ones with the avocado mountain, the fried zucchini and the ones on the left (you could just show them the picture and I’m sure they can tell you what’s what). Most possibly my favorite place for breakfast/brunch. I went here on my last day because I heard they sell vegan challah and oh boy, this place is AMAZING! It’s such a small bakery/cafe, located a bit on the outside that you might want to skip it, just don’t! Their food is incredible! They offer 2 breakfast options, sweet and savory, and those change every 2 weeks or so. 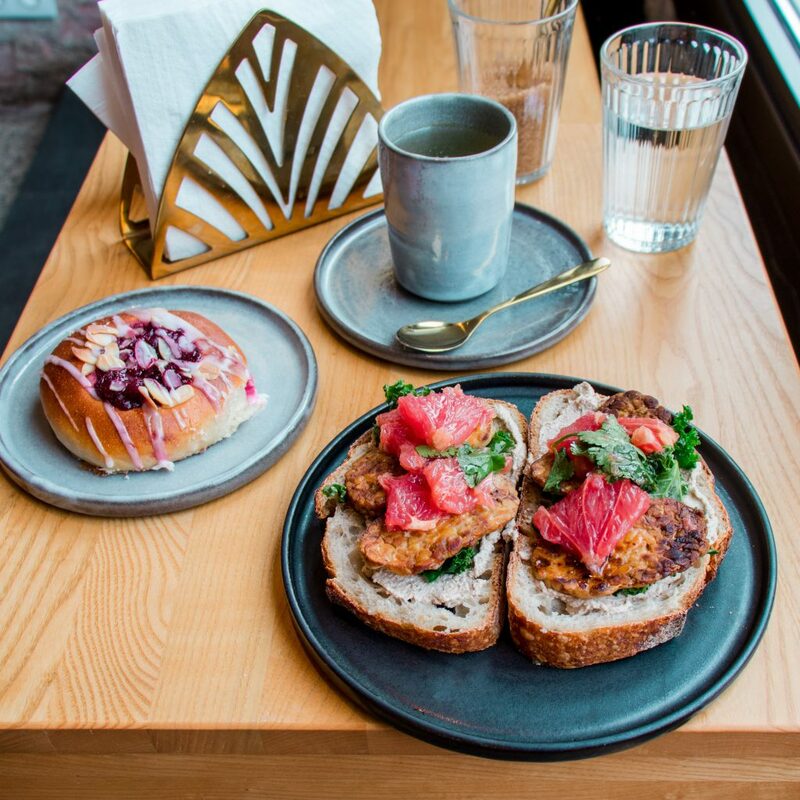 I opted for walnut paste, marinated tempeh kale and grapefruit on their freshly baked sourdough bread which was SO GOOD. The sweet option was a cashew cream cheese with blueberry compote, which also sounded delish! And of course I couldn’t resist and also got one of their challah treats! 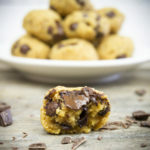 Turns out all of their stuff is completely vegan! 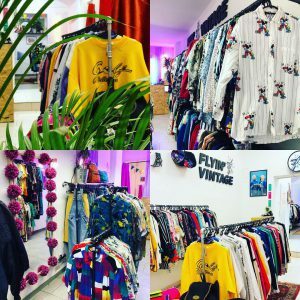 The vibe I got from this place was definitely very Berlin/hipster style with chill hip-hop music playing in the background, some cute dogs and very friendly service (which I’ve found to be a rare thing in Krakow). Stopping here was a last minute decision as we originally had something else planned, but I’m glad we did. Their vegan pho was exactly what I needed on a cold winter night. 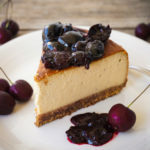 Unfortunately they didn’t have any more cheesecake left but it looked amazing from when we saw it before. If you’re craving hearty dishes, this place is your go-to. They have awesome looking gulasz (stews), soups, jackfruit bimbimbap and some sweet things. 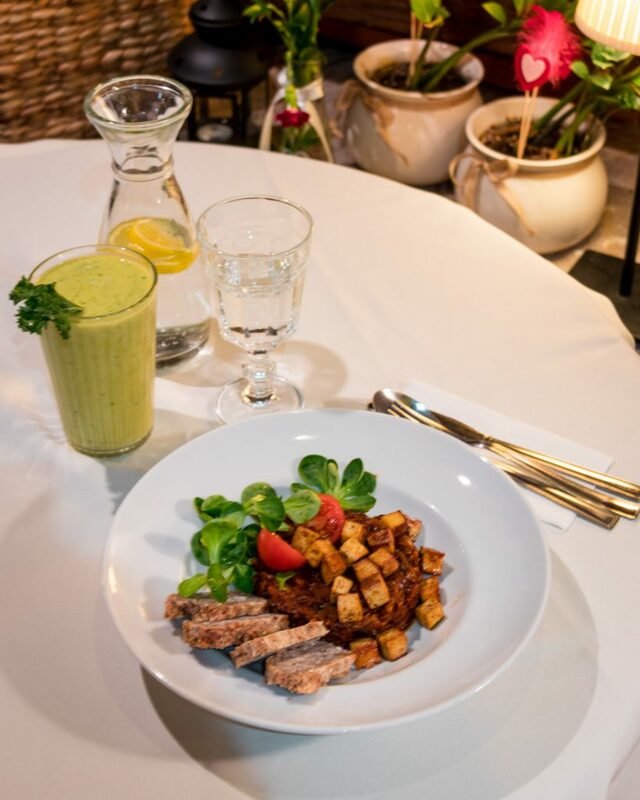 Prices vary from 6-7€ per main dish. I can’t attest to how their food actually tastes, because this vegetarian place was unfortunately closed due to renovations when I was visiting, but they’re supposed to be one of the most popular vegan go-to places in the city. Double check if they’re open before you go as they’re located quite a bit north of the old town! This place is an all vegan cafe where we stopped on our way to the airport. We took a uber from our apartment in Kazimierz to here which cost us around 1.50€. It’s located a bit outside of the city! 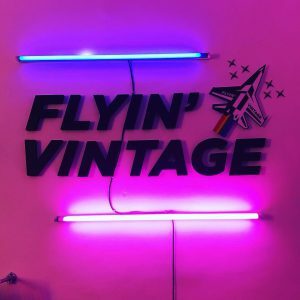 I can highly recommend it as a place to stop on your way to the airport, drink a quick smoothie and take a sandwich for take-away so you have great food for the flight. 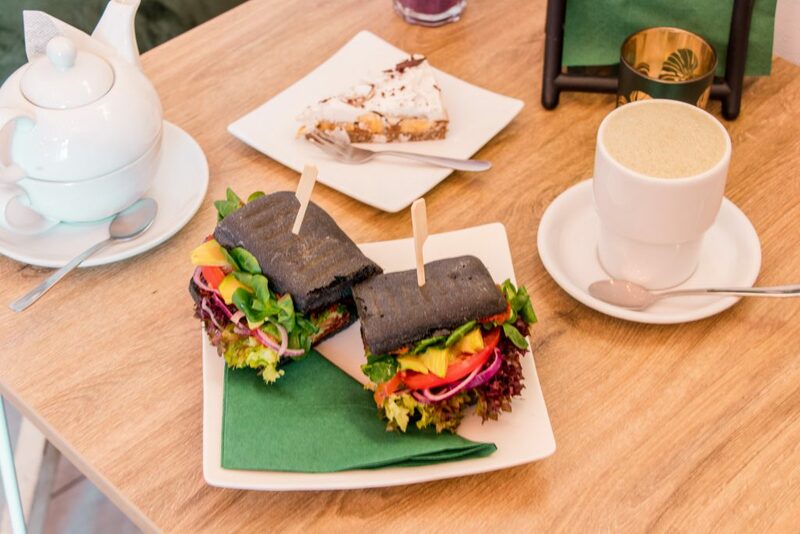 They offer toasties (1,80-3€) – made with either hummus, avocado, vegan cheese/ham or peanut butter jelly – ciabattas (2,30-3,50€), salads, granola and different pies, juices + smoothies! I had the avocado, sun-dried tomato ciabatta, a piece of the banoffee pie and a blueberry smoothie which where all great! 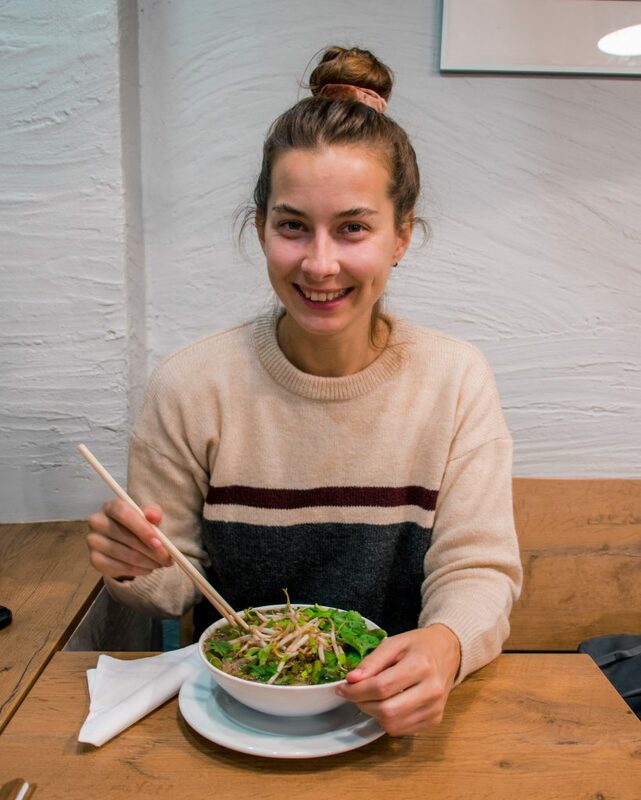 We didn’t have time to make it here and didn’t feel that much like Asian food while we were in Krakow but both of these places come highly recommended by locals and other vegan restaurant owners! While Pod Norenami has an amazing variety of Asian dishes and extensive menu with things like vegan dumplings, sushi, beans, faux meats like tofu ‘beef’ in different sauces etc., Ka Udon Bar focusses on authentic Japanese cuisine including deliciously filling udon noodle soups with kimchi, veggies and tofu! If you’re a lover of Indian food I’m sure you’ll appreciate both of these places! While Hariprasad is a small food bar which offers samosas with different fillings plus dahl, curries, chapati, lunch sets, laddu, and mango lassi – Bhajan Cafe is a vegetarian restaurant serving sattvic vedic cuisine with a fully vegan breakfast and gluten-free options. 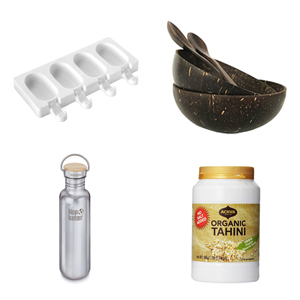 Apart from their food options they also host yoga and meditation classes! Tibetan food made in Kazimierz. 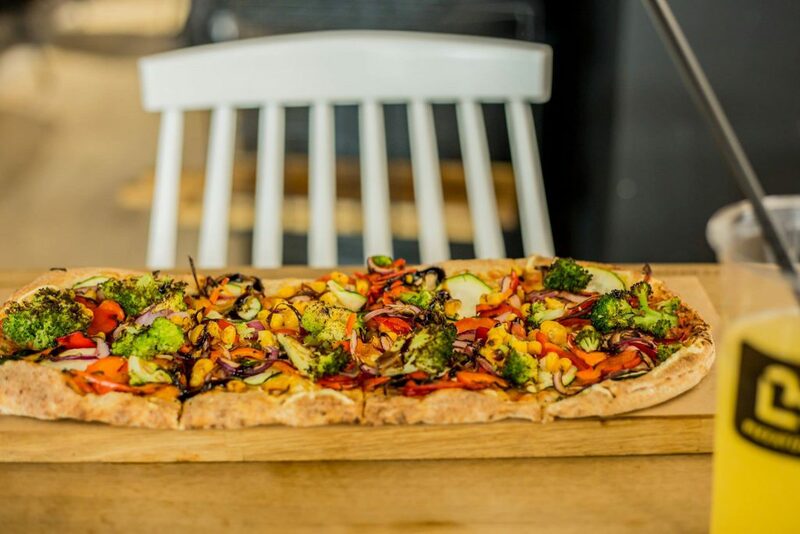 Their menu is mostly vegan without any egg and includes the popular Tibetan dumplings ‘momo’, South Indian masala dosa, vegan 3-grain pancakes and various desserts! 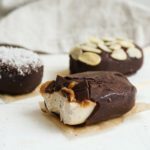 If you’re into chimney cakes and really want to try a vegan version, go to Lili & Rose chimney cakes on Thursdays and Fridays as they have vegan ones on those days! 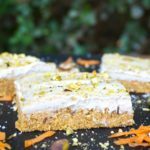 The best self-serve salad bar in town that offers hot and cold foods with labeled vegan, vegetarian and gluten-free options. 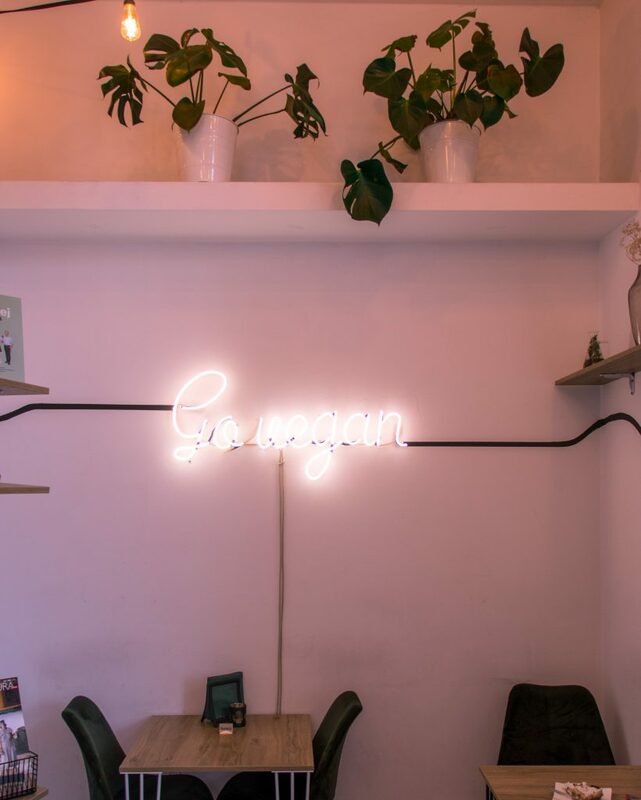 Super cozy cafe and bookstore that serves matcha tea, coffee, vegan baklava and vegan ice-cream with a variety of plant milks available. After 4 days of crazy walking and major back pains we decided to spoil ourselves with a massage. 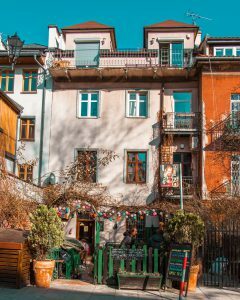 I found this small massage place while walking through Kazimierz and we ended up booking a session there for the evening which turned out to be the best decision we ever made. Despite the fact that I’ve travelled in Thailand for 3 months last year, this was most likely the best Thai massage I’ve ever had. The owners are the loveliest Thai woman and a Polish guy who made us feel so incredibly welcome with homemade Thai sweets and tea! Both women who did the massages were incredibly professional and knew exactly what was wrong/where to touch/what to fix after just 3 second of feeling our backs. I’d go back there anytime and can’t recommend them enough! Book 1-2 days in advance by calling them! I found an awesome pair of vintage pants + a beautiful sweater there that I’ve been wearing relentlessly ever since so I couldn’t be happier! Both places have 2-3 locations across the city so it’s definitely worth checking out all of them! 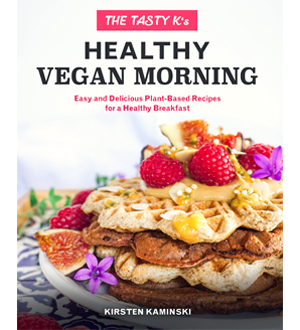 Disclaimer: Please note that some of the links in this Vegan Guide to Krakow are affiliate links and if you purchase through those links I’ll receive a small commission with no additional cost to you. I’m only affiliated with companies and products that I recommend and trust. This is a great and easy way to support me, without spending extra money and I would be eternally grateful for your help!